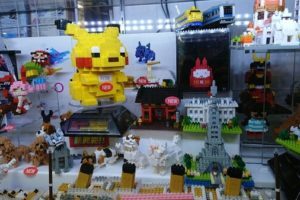 All manga fans who come to Tokyo visit Akihabara. 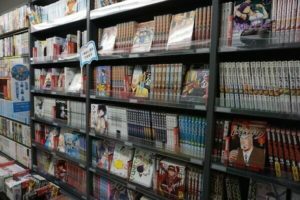 Therefore, there are a lot of manga stores there, and it is difficult to decide which are worth a visit. 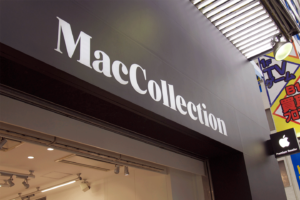 Today we will introduce stores for all of you who want to buy manga but don’t know where to go. 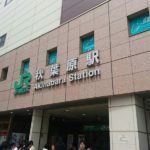 If you exit Akihabara station on Showa street, you will see the building right away. 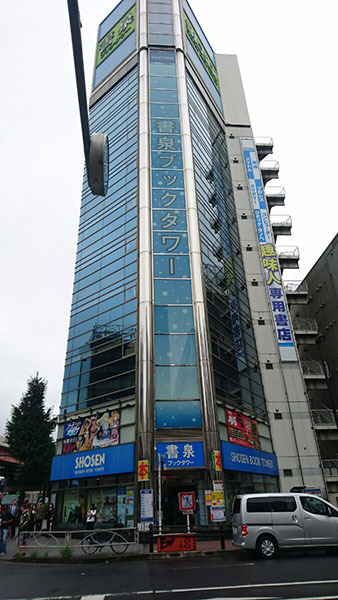 Shosen Book Tower is just across the street. It is a huge eight-floor bookstore. 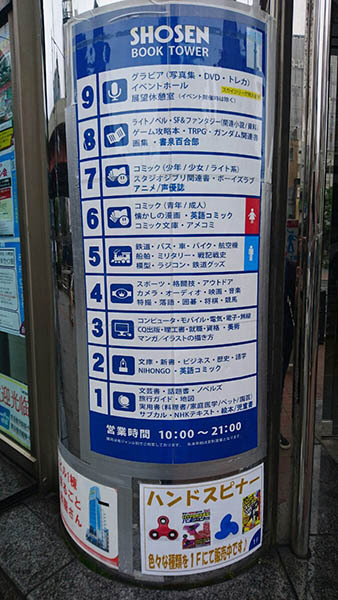 If you look at the floor guide, you will notice that manga is on the 6th and 7th floor. 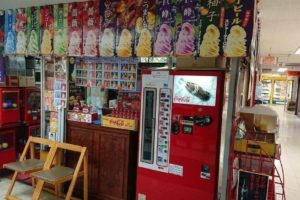 Since Shosen is well known for it enormous inventory, here you can surely find the one you are looking for. Even if you are not looking for a specific title, you can still enjoy checking out a variety of comics displayed there. 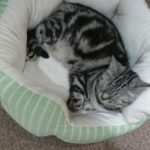 They have a lot of English editions, too! We found shelves with manga translated into English. 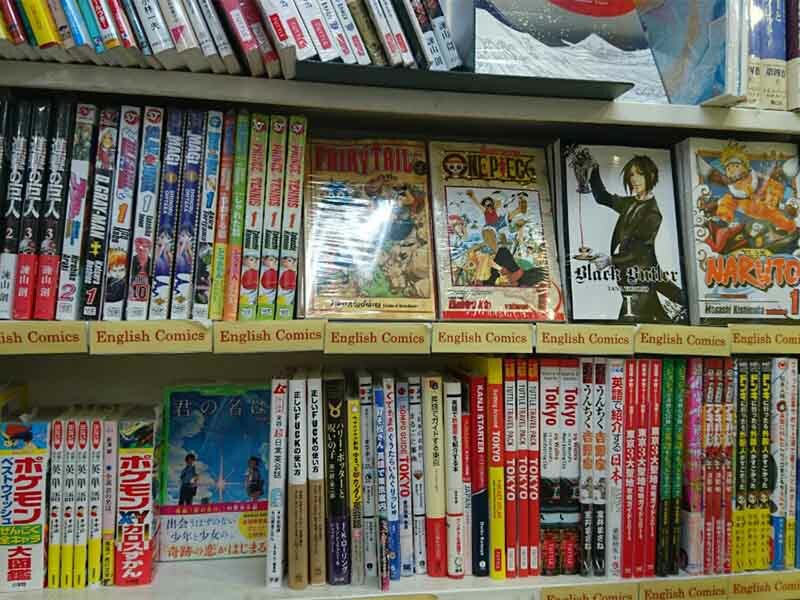 Many popular titles got their English editions, such as Naruto, One Piece, and Full Metal Alchemist. 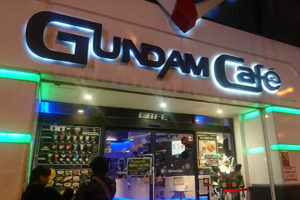 It is great there is a corner for manga fans who can’t read Japanese. They give away the original manga??? 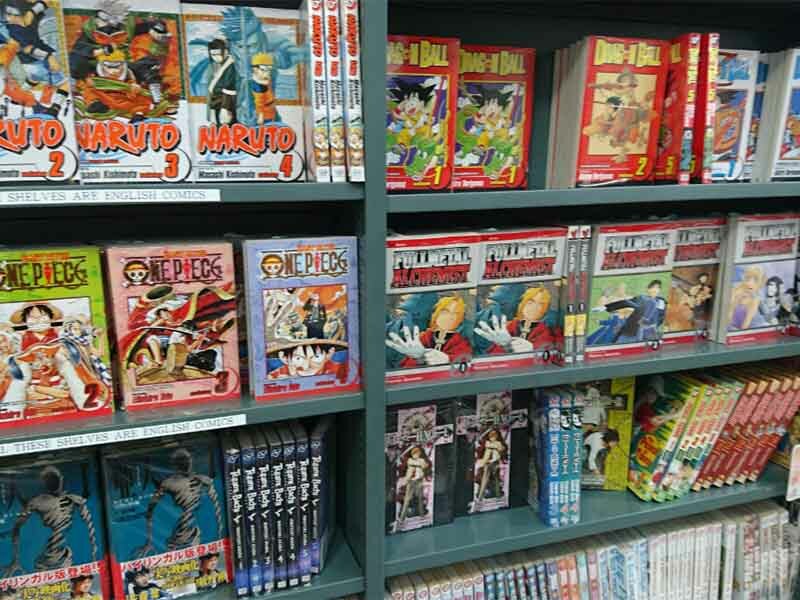 While we were going through the manga corner, we found an amazing shelf with original manga. 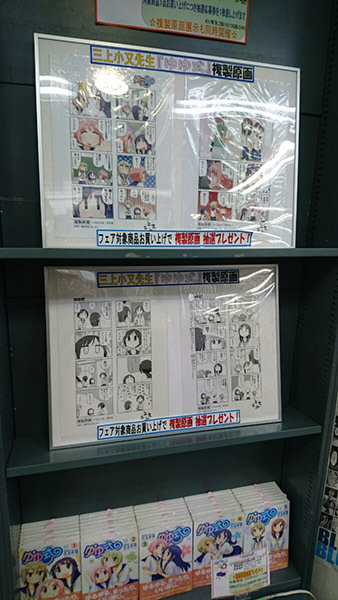 It seems that you can play the lottery and win a manga drawn by the mangaka themselves. This is the best present for all true fans. Since Shosen Book Tower mainly sells books, we would like to introduce you one of the more popular titles. The first one is JR Timetable. Here you can check the departure and arrival time for JR trains. 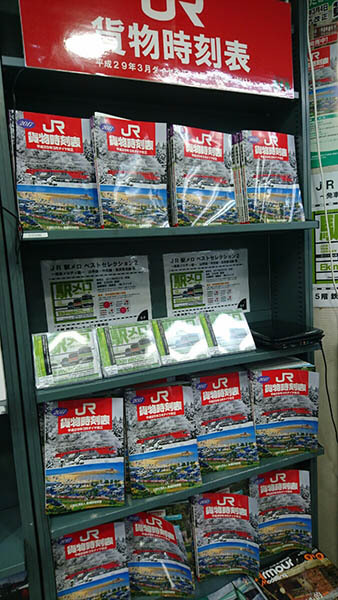 In the middle of the shelf, you can see a CD with the compilation of melodies played on each station. 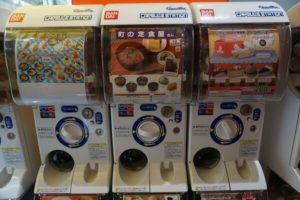 You can definitely learn a lot about Japanse trains. 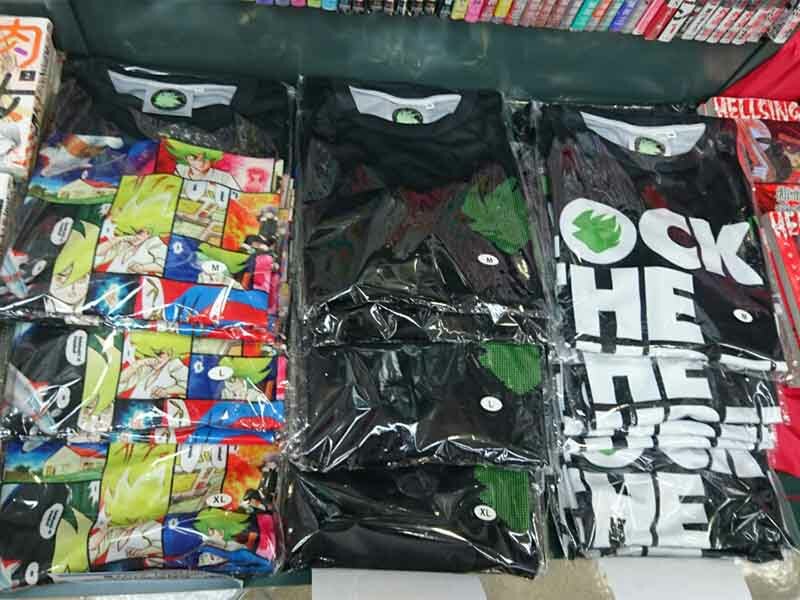 They also sell manga inspired T-shirts! 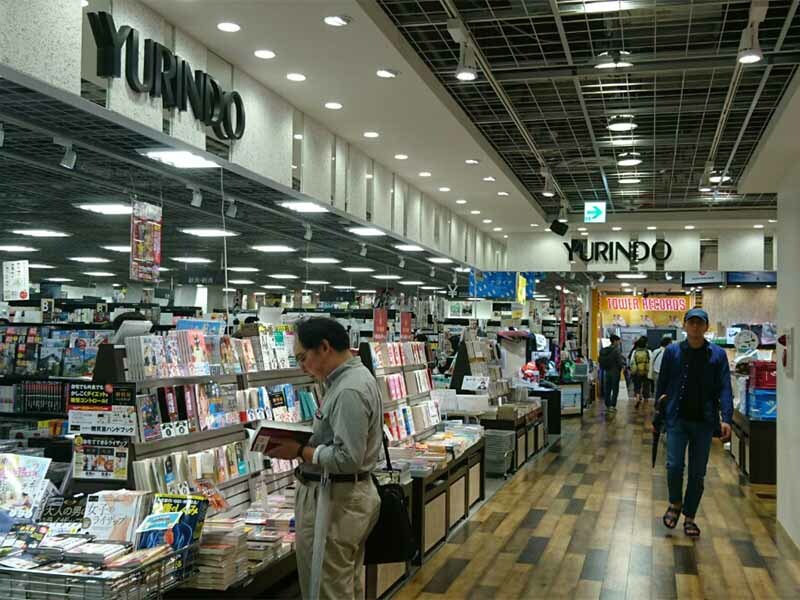 This is Yurindo, located in Yodobashi Akiba. 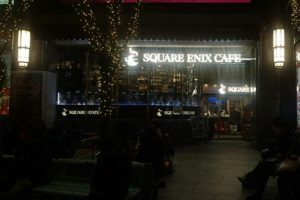 It is a smaller than Shosen Book Tower, but there is a nice café inside. 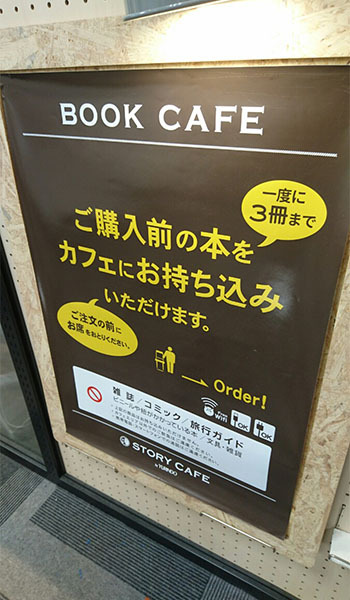 As it says on the signboard, you can bring books in the café and check them out before buying them. 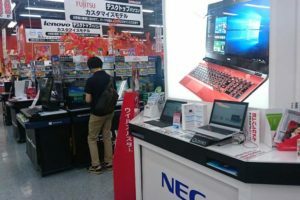 It is very convenient for customers who are not sure about buying an interesting looking manga or a book they found in the store. Here is the menu. 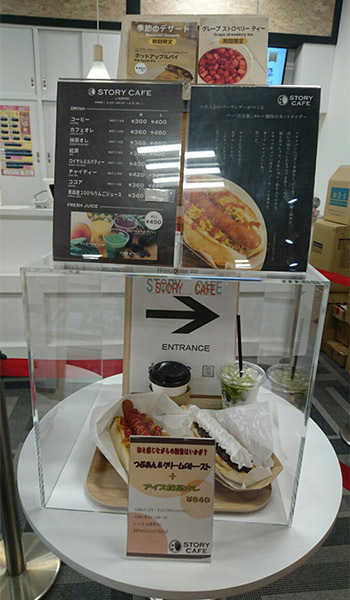 Aside from drinks, they also have Ogura toasts and hot dogs, perfect for a snack or light lunch.